As the clock ticks down to the 21st anniversary of Insomniac’s capstone festival, Electric Daisy Carnival Las Vegas, the perennial party planners have announced some new tricks up their sleeves – including a lineup of esteemed, immersive and exciting Art Cars for headliners to Oooooh and Aaahhhh over. 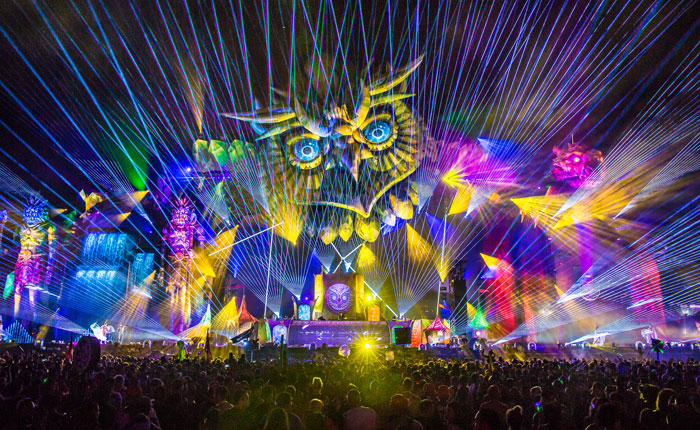 With over 200 of the world’s premiere dance music artists, producers and DJs set to slay the stages at this year’s festival, a cavalry of four awe-inspiring Art Cars will bring in more than 70 performances as they parade across the thousand acre Las Vegas Motor Speedway. 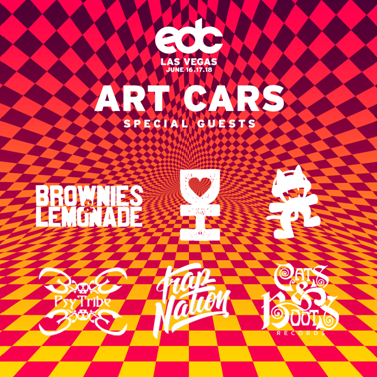 The art cars will be curated by eight esteemed industry tastemakers and will include performances from the likes of Autograf, Delta Heavy, Gareth Emery, Bonnie X Clyde, Alan Walker, Dirtyphonics and so much more – including special guests, surprise performances and can’t miss musical moments. From dusk til dawn for all three days of the EDC, the Art Cars will be expertly crafted and constructed by the creatives minds behind the Brownies & Lemonade, Cats & Boots Records, Desert Hearts, IN / ROTATION + Discovery Project, Monstercat, PsyTribe and Trap Nation collectives. For the last decade, hell – my entire life – music has been my genesis and the community surrounding it has become my family. I’ve ebbed and flowed in and out of genres in parallel to my social groups; from my roots in Trance and Dubstep, into a self professed Techno-file, Basshead and back to being a tried and true audiophile. I’ve watched myself grow, between the cracks and between the events, blossoming, regenerating and trying again as the flowers do every spring. For the past few years, Lightning in a Bottle has been my source of metamorphosis, the cocoon that encapsulated my former spirit – giving life to my dreams and purpose to my passions. But it always felt as if it came with a life-sized catch. As is natural in life, the soaring highs and the lowest lows seemed to coexist within the festival space – almost magnified under the idea of the ‘transformational’ festival experience. The human mind, as beautifully strong as it is, is forever wired to remember and avoid pain, while seeking pleasure. Instead of remembering my whirling wanderlust for novel and new music, a colorful cacophony of characters cascading into my life, delightful dialogues with strangers that became instant friends and the effervescent beauty of immersive art structures – my mind matriculated elsewhere. Every time I tried to conceive of myself bouncing around on festival grounds, the first memories to flood my head are my aunt passing away last year, our laptop getting stolen from our tent the year before, and various high drama moments between security and festival goers. Where my freshman self had been so keen on forming a new festival family, while now – as a festival veteran – I felt myself retract back into my personal bubble. Yes, inherently trust is something to be earned, like the view from the top of a mountain after a hike…but that’s for the real world – here, at a festival, with a menagerie of like minded people, I wanted to leave my defenses far behind me – instead, they transformed into a chip on my shoulder. Suffice it to say, it felt like my time there had run out – and rightfully so…after all, I’ve never been in a school system with the same people for longer than 5 years at a time, so if we’re really in High School part Infinity as it always seems – this is me, graduated and looking at life anew. 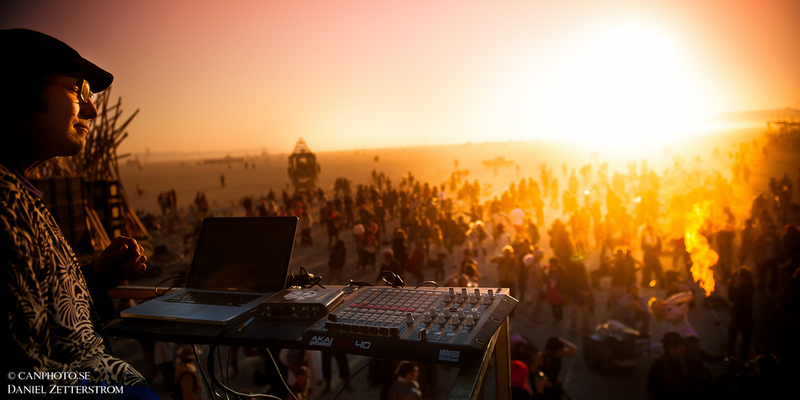 Lightning in a Bottle – in tandem with the Do LaB – has turned an impeccable idea into a full on circus show where you’re both the audience and the show. They’ve made me cultivate and curate my own community of dreamers and do-ers, they’ve shown me how to synthesize ideas and different types of personalities, how to go with the flow and look at the world through eyes of childlike wonder and amazement, I have a new appreciation for the metaphysical aspects of life and for the natural world – and now, I’m ready to foray that into the rest of my life. Yes, LIB is an amazing, wonderful, technicolor day dream of a weekend – and I’m thrilled that I’ve gotten to dance my way through their world, both as a participant, as a writer for The DJ list, and as a member of their esteemed PR team when they were paired with The Confluence. I’ve lived inside someone else’s technicolor daydream and loved (almost) every second, but it’s given me pause – a notion that maybe it’s time to curate my own dreams and dive into those. I’ve had a trifecta of angles, a million perspectives shoved into a four year span – and it’s taught me that the world is both more beautiful and more complicated than you could realize, but if you take the time to put the pieces together – the puzzle you complete will astound you. You’ll look at the world anew, with the ability to find sincerity in small moments and life long lessons within short term friendships. Only after uncovering yourself, the person who resonates at your core, you’ll see the truth of the people you surround yourself with. There are an infinite amount of dragons to chase, so choose to search for the bigger picture, how to leave the world better and beautiful, how to operate with openness and kindness, and receive it them in return. Smiling at strangers isn’t just for festivals, and hugs are for everyone, there’s art everywhere and every moment is a good moment to dance. The good life we create at our festivals, the community, love and ethos we spend four days and nights cultivating are here, in every second of our every day life if we choose to engage it. One doesn’t stay in their genesis forever, and within that – I feel I’ve gotten exactly what I needed to head on in my own direction. Lightning has been my springboard, a stepping stone in the river to where I’ve become myself and I’m thrilled at the memories that I’ve made there, but now – at 32, about to be married and wanting a family, I felt inspired to start my own traditions, and cultivate the lightning in my own bottle. For the first time since 2012, I didn’t attend Lightning – but it doesn’t mean that my soul wasn’t there, living vicariously through passionate people prancing through the dust in search of their next adventure as I searched for mine.